The Silent Order, my latest suspense, releases this week! 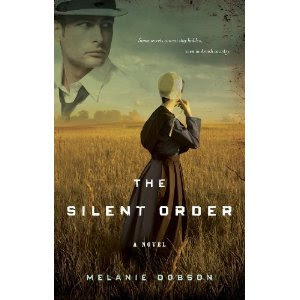 To celebrate, I'll be giving away five copies of The Silent Order in December. To enter the contest, please leave a brief comment below or on my FB page (it can be very brief—like “enter me"). I will draw names on December 2nd and then post the winners' names on Facebook and here on the blog. Dark secrets bind the notorious Cardano family together, but Detective Rollin Wells is close to exposing them. The Cardanos are working in the hills south of Cleveland, and when Rollin travels to Sugarcreek to investigate, he discovers that the Cardanos want him dead. Rollin hides out in an Amish home, trying to uncover why the Cardanos are in Amish country and who is collaborating with them. As he gets closer to the truth, he also attempts to find out what a beautiful Amish woman named Katie Lehman—a woman who reminds him of the girl he once loved—is hiding. Will Katie trust him with her secret..and her heart? Or will the Cardano code of honor silence them both?